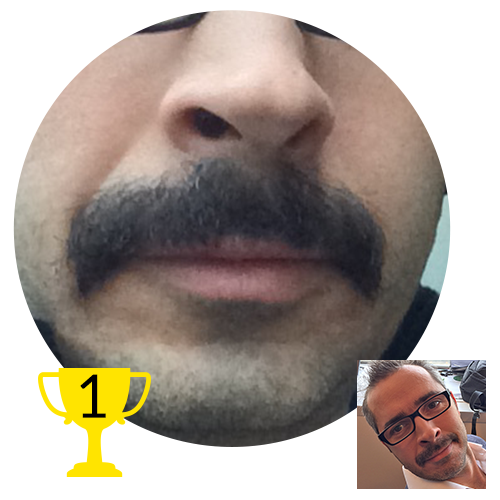 The stunning Black Swan Movember Team have come to the end of their hairy faced endeavours and the results are in! 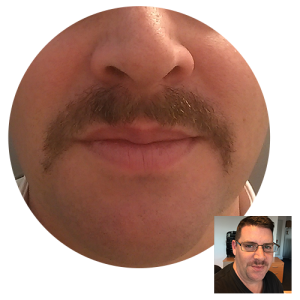 Thank you to everyone who took part, who supported, and of course who sponsored: an admirable £1,200 was raised for a most excellent cause, and of course, some beautiful moustaches were grown. It’s not too late, if you wish to donate, the donation page can be found here. 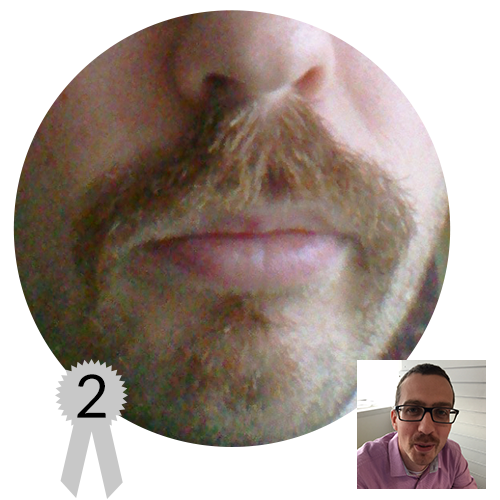 Here is the final rundown – Black Swan Movember Beauty Pageant, The Results. This fine specimen took on a life of it’s own not long after the beginning of the month. 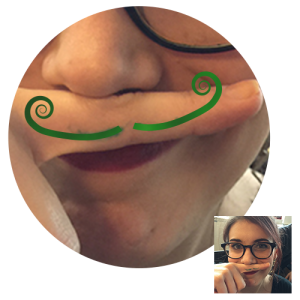 A luxurious, vibrant moustache, it’s sprouting immediately took it’s owner, Eric, from ‘cigar smoking web developer’ to ‘Hirsute Frenchman, Monsieur of Mystery’. 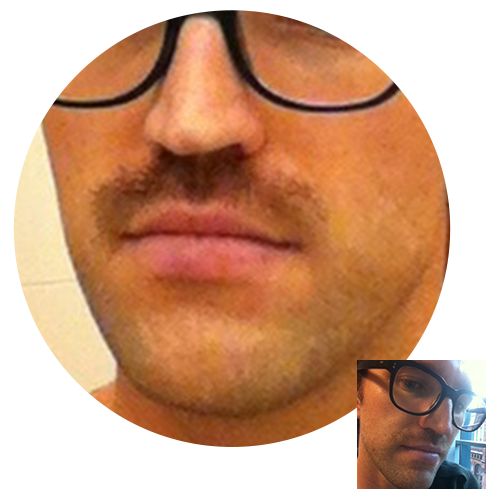 Rumours this moustache starred in an adult entertainment franchise in the late Seventies remain unconfirmed. An outstanding result, FIRST PLACE. This moustache took on a spectacular shape from the start, quickly becoming bushy in all the right places and a forming a remarkably well finished moustache in such a short time. SECOND PLACE. 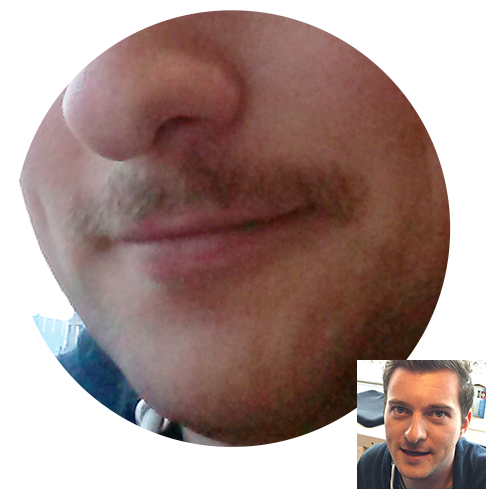 This impressive ‘trucker’ tache has come on leaps and bounds from the sparse ‘light covering’ of a few weeks ago. 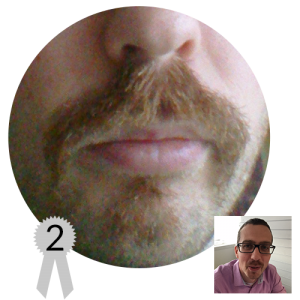 Adhering closely to the traditional shape, this stylish moustache pays homage to Dave Grohl and is awarded HIGHLY COMMENDED. A subtle moustache, evoking memories of Clark Gable and the prohibition era. From nothing to this in a mere month is certainly nothing to be sniffed at! A STERLING EFFORT. 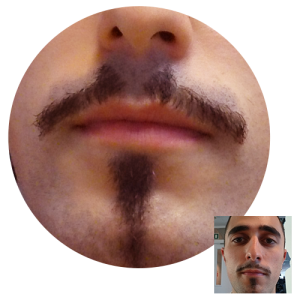 Umit has never shied away from a sculpted facial hair offering, but ‘The Zorro’ is surely the most stylish attempt yet. Accessorised with some not-strictly-regulation chin decor, this three piece moustache requires almost daily maintenance. EXCELLENT WORK. 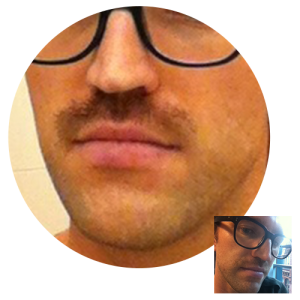 A style synonymous with Movember, the ‘localised stubble’ is recognisable in pubs and bars all over the world during the month of Movember. 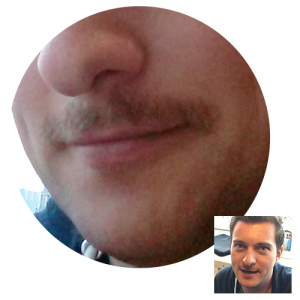 Containing shades of Tom Selleck – a fortnight after he decided to grow a moustache – this is an excellent example of what can be achieved in a month. GOOD WORK. 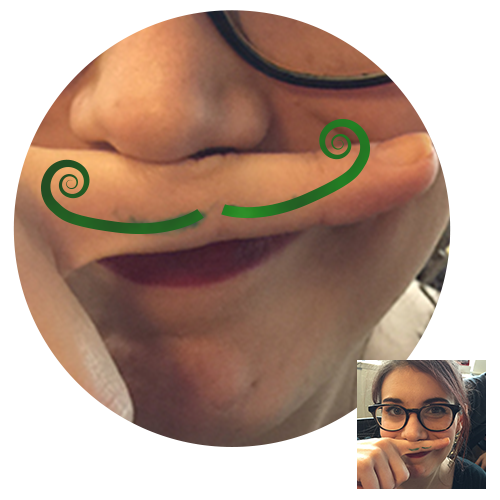 The traditional ‘green handlebar’ is a rarely seen speciality moustache. Marine cultivated it from a small, almost unnoticeable mark on her finger to a magnificent curly delight in a little under four weeks. TOP EFFORT, MARINE! 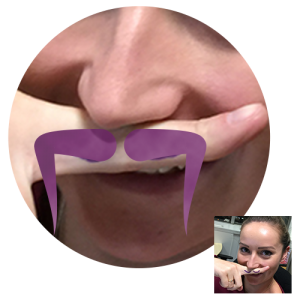 The ‘Yosemite Sam’ sprung from almost nowhere – one moment Rosie had a refined, stylish, understated fingertache and the next moment this beauty appeared. Be in no doubt – if this beauty were formed of real hair and been on a face, this would have won first prize. 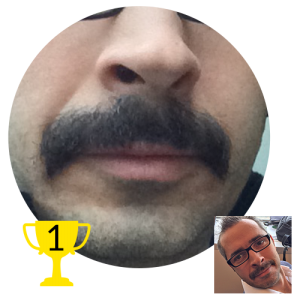 FINGERTACHE WINNER.